...Baby, We were born to run. Saturday was a busy day. 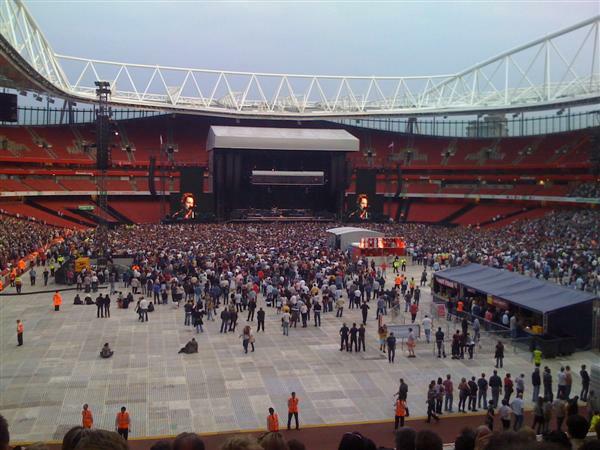 First the Guinness Premiership final at one stadium (Twickers) then straight from there to another stadium (the Emirates) to see "The Boss". We saw the rugby with our friends Bob and Lynn but hardly hard a chance to chat as we rushed off in opposite directions after the game. We went via Hammersmith for a quick bite to eat and meet up with Geraldine and Alasdair and their friends, Pat and Paddy. 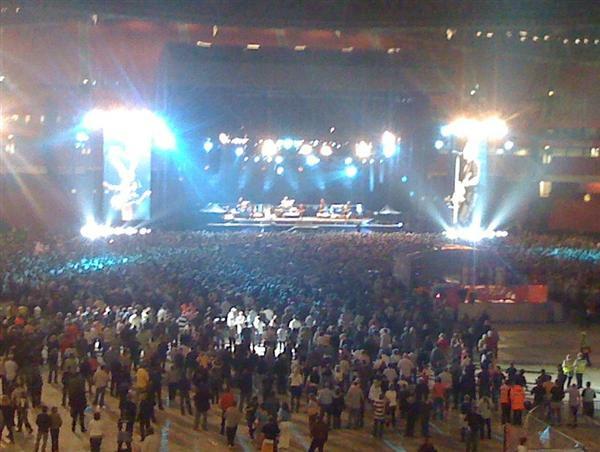 From there it was off to see Bruce and the E. Street Band. It was loud and the crowd knew all the words but I only recognised a few of the tunes. I only possess the albums "Darkness on the Edge of Town" and "Greatest Hits". A good time was had by all. I was once a die-hard fan of Springsteen's and saw him many, many times--until he went all stadium on us around the time of The River ('80)! I just couldn't hang on any longer. Plus he got married--twice. ha.